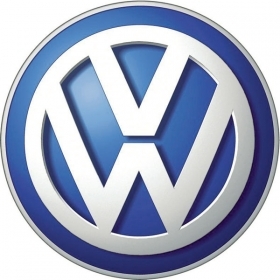 SHANGHAI (Bloomberg) – Volkswagen AG, is in talks with its Chinese partners about developing a local brand as rivals prepare to begin sales of new models specially created for the world's largest auto market. “We see a local brand as an opportunity to get into new market segments,” Karl-Thomas Neumann, CEO of Volkswagen Group China, said in an e-mailed statement. The carmaker declined to give further details on the partner or the segment. Volkswagen may follow competitors General Motors Co., PSA/Peugeot-Citroen, Honda Motor Co. and Nissan Motor Co. in introducing a new, cheaper brand in China as they seek to win market share from Chinese rivals. Foreign manufacturers are introducing smaller and cheaper models and targeting inland cities, such as those in Henan and Sichuan provinces, where per capita car ownership is low and incomes are rising, according to analysts from Macquarie Group Ltd., Nomura Holdings Inc. and Booz & Co.
China's government is promoting local manufacturers and all foreign carmakers' joint ventures in China have been asked to develop local brands, Neumann said in the statement. VW's partners in China include SAIC Motor Corp. and China FAW Group Corp.
China vehicle sales grew more than 32 percent to 18.06 million in 2010, outselling the U.S. as the world's largest auto market for the second year running. VW's new brand will make smaller cars that will cost less than 8,000 euros ($10,750), German daily Handelsblatt said Tuesday. Nissan and its Chinese partner Dongfeng Motor Group Co. plan to introduce a new passenger car brand Venucia from early 2012 to meet demand for cheaper models, the automaker said in September. GM, the largest foreign automaker on the mainland, will start sales of the first car to be made by its SAIC-GM-Wuling Automotive Co. joint venture this year, the U.S. automaker has said. The four-door Baojun 630 compact sedan will be part of a new brand of affordable vehicles and will cater to “first time buyers in the nation's second and third-tier markets,” the company said. Honda and its partner Guangzhou Automobile Group Co. expects to start sales of its Li Nian S1 sedan in the first half of 2011, the first car made under its new Everus brand. The 1.3- and 1.5-liter engine S1 is based on Honda's City small car and will target entry-level car buyers, Honda said. PSA/Peugeot-Citroen SA, is also planning a new local brand with local partner China Changan Automobile Group Co. The French automaker, which sells Peugeot and Citroen cars in China, is considering a second Chinese brand with other partner Dongfeng Motor Group Co., the company said last month.